This course furnishes practical business skills and a mastery of advanced Japanese to students aiming for employment in Japan. 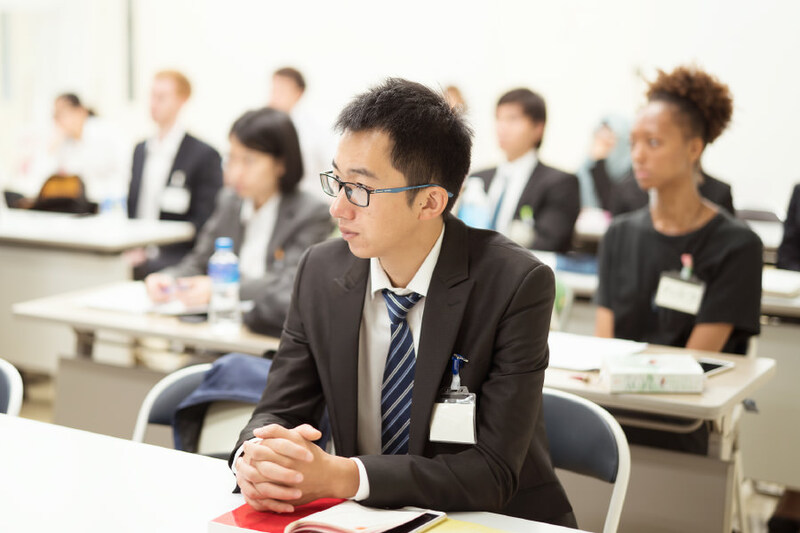 The advanced curriculum imparts an understanding of the peculiarities of Japanese business culture, teaches business manners and cross-cultural communication skills, and cultivates a level of Japanese proficiency that is sought after by Japanese companies. Business people and entrepreneurs currently engaged in industry, as well as foreigners working at Japanese companies, lecture on themes such as the skills necessary to work for a Japanese company and the traits desired in foreign employees. In addition, the market research class exposes students to a breadth of business knowledge in a variety of fields. Classes include preparation and strategies for passing the JLPT N1, the BJT (Business Japanese Proficiency Test) and the PJC (Practical Japanese Communication) Exam, while during the second year, students present results from their coursework at a Conference. 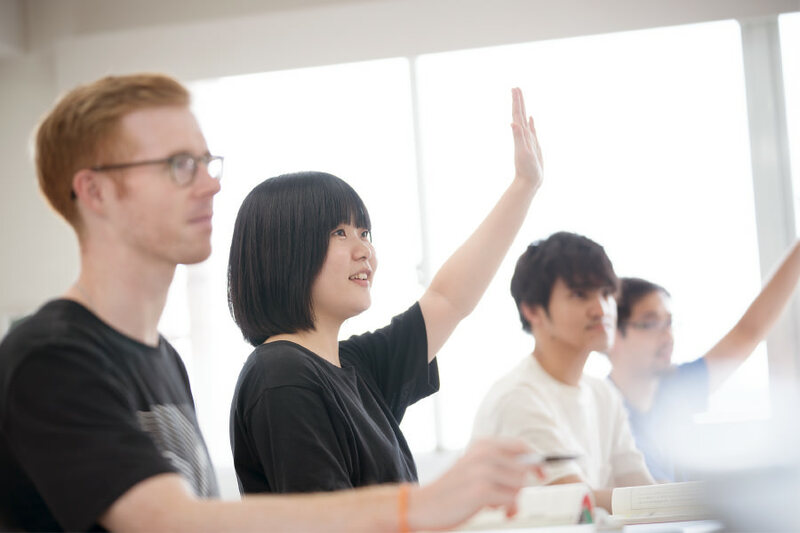 Overall, the concentrated original curriculum trains individuals aiming for international careers so they can "hit the ground running," already understanding the business mind of Japanese companies and the essence of multicultural working life. FFLC will support you throughout your job search with advice and coaching as you write your resume, prepare for interviews, and prepare to take the SPI. Students aiming for employment with a Japanese company can consult with a specialist regarding visa issues and will be supported from every angle. 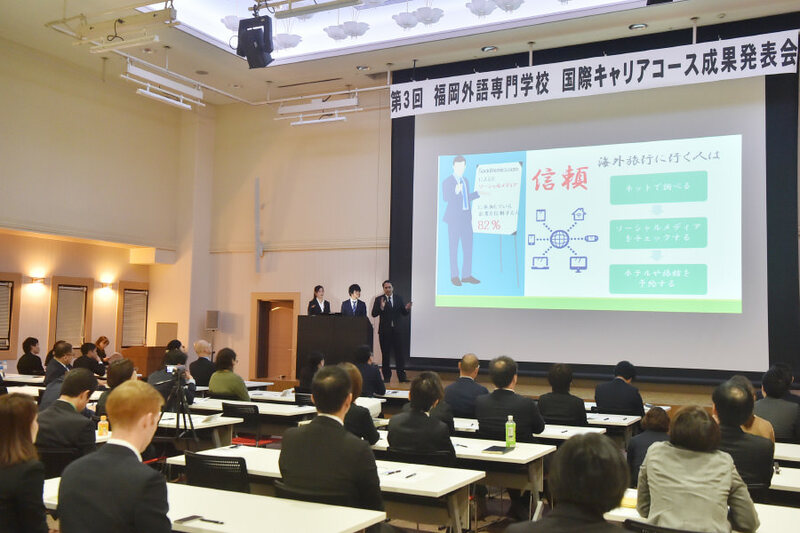 Business professionals are invited to attend this conference where FFLC students present results, in Japanese, from their coursework: Business plans, issue analyses/resolutions, etc. Each student conducts an investigation, analyzes the results and prepares a presentation in PowerPoint, developing a theme chosen during his/her coursework. The Conference is attended by business people in a variety of management roles, from Fukuoka and around the region, who represent numerous industries. Each presentation is followed by Q&A during which presenters have to "think on their feet" and trial their Japanese input/output ability.